Employee health initiatives often struggle to gain employee participation and executive buy in. Learn how The Diamond Model of Integrated Health and Well-being©, a distinctive conceptual and structural framework for designing and implementing a strategic employee health initiative, helps organizations create a work environment where employee well-being is a cornerstone of company culture. Why a Diamond? The Diamond is a metaphor. A diamond is precious. Whether refined or in it’s raw state, a diamond is inherently valuable – just as each person is inherently valuable, regardless of his or her state of health. A diamond is composed of many facets, which are all interconnected. Each facet is critically important and all facets are equally important. The same is true for the 10 Facets of Health. The diamond is treasured for its exquisite radiance, remarkable resilience, and practical utility. Correspondingly, every person has the innate capacity to shine, endure, and perform well with proper care. The beauty of the diamond is best expressed when each facet is polished and maintained. Similarly, the best in each person is brought forth when each facet of health is optimized and the whole person is in a state of harmony and well-being. Each facet of health can be optimized at an individual level and at an organizational level. 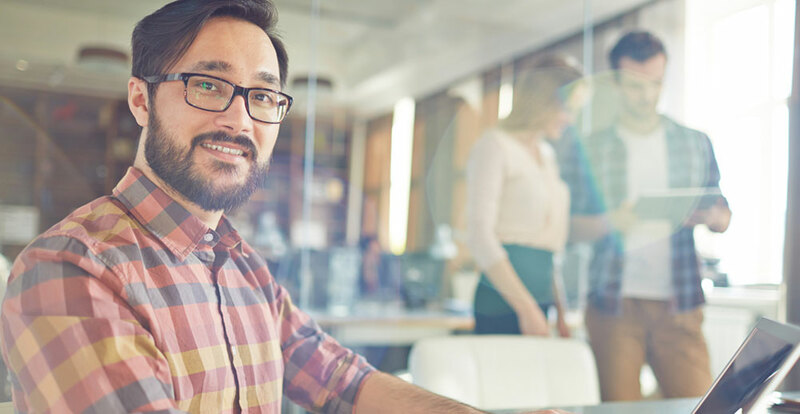 An integrated approach to employee health includes strategies and resources that provide information, programs, and support in the workplace environment to encourage the practice of healthy habits both at work and at home. For example, the facet of fitness, expressed at an individual level might include parking further away from the supermarket and walking in; using the stairs at the airport instead of the escalator; walking the dog; vigorous yard work; and taking an exercise class at the neighborhood gym. Fitness in an organizational context would include resources provided by the employer and practices that support physical activity, such as: an onsite gym; taking the stairs at the office instead of riding the elevator; the option to have a stand-up workstation; company sponsored sports teams / activities; walking trails on campus; walking one-on-one meetings for managers and their direct reports (rather than the customary sitting across a desk); and team building events that include physical activity. 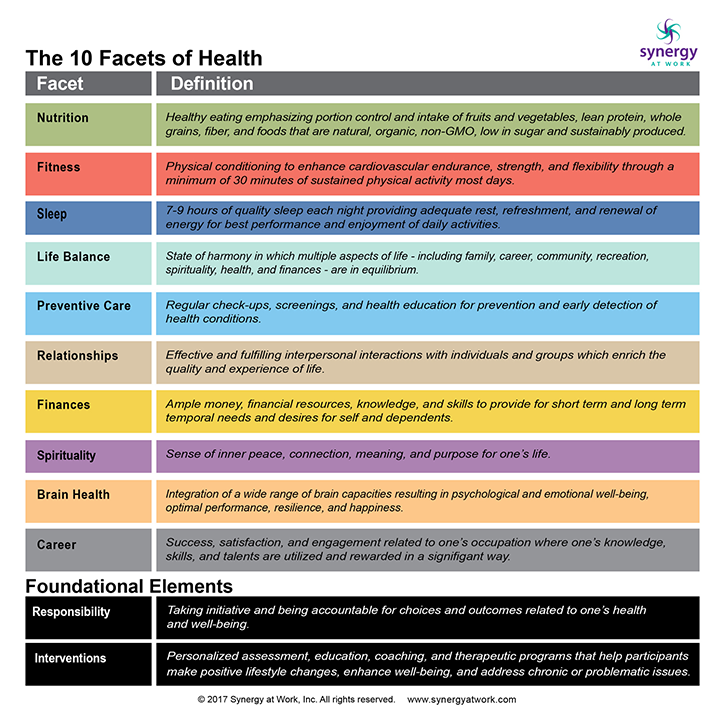 The 10 Facets of Health operate best within a solid foundation of mutual Responsibility and Interventions. The organization is responsible for offering relevant programs, tools, and activities to educate and support employees in the practice of a healthy lifestyle, such as offering healthy vending machine options; providing educational resources about key health topics; and encouraging employees both implicitly and explicitly to actively participate. Correspondingly, individuals are responsible for utilizing the programs and resources that are available to them and their families. One facet that is particularly unique to The Diamond Model is Life Balance, NOT work / life balance. Our rationale is that there is no such thing as “work / life balance” in that the very term is based on an inherent untruth. By placing “work” and “life” side by side, it is implied that they are separate and equal entities along a continuum. When in fact “work” is only one part of the much larger context of “life.” Life is composed of many aspects: relationships, hobbies, giving back, health, finances, spirituality, career, etc. Though it may seem like merely semantics, the notion that work is only one part of life and that life balance is essential to personal and organizational success and sustainability is revolutionary. We believe that life balance is a key factor in employee engagement. 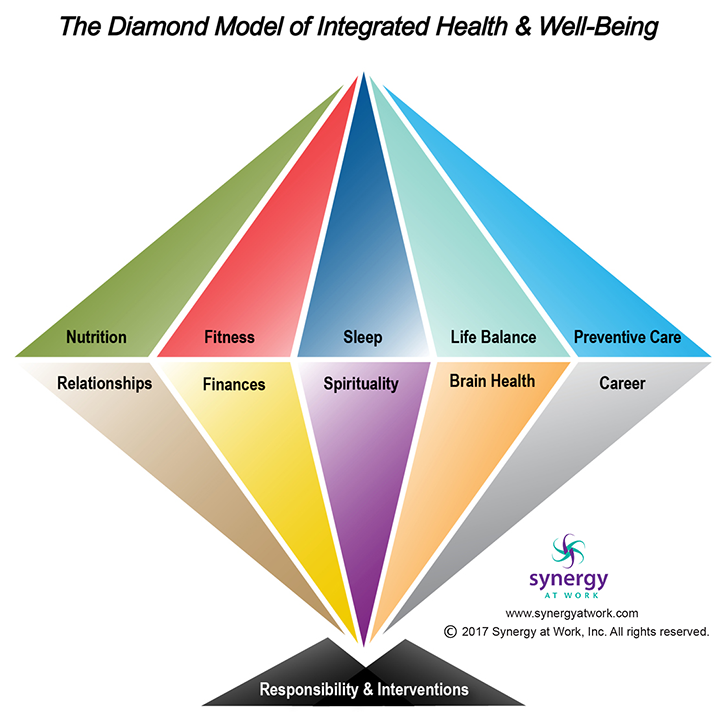 Synergy at Work is uniquely qualified to assist employers in designing and implementing a customized health initiative, based on The Diamond Model of Integrated Health and Well-being©, that’s right for your people and setting.